The oh-so-popular SoNo Fest and Chili Cook-Off has rapidly morphed into a spicy smackdown for local chefs seeking big-time bragging rights. 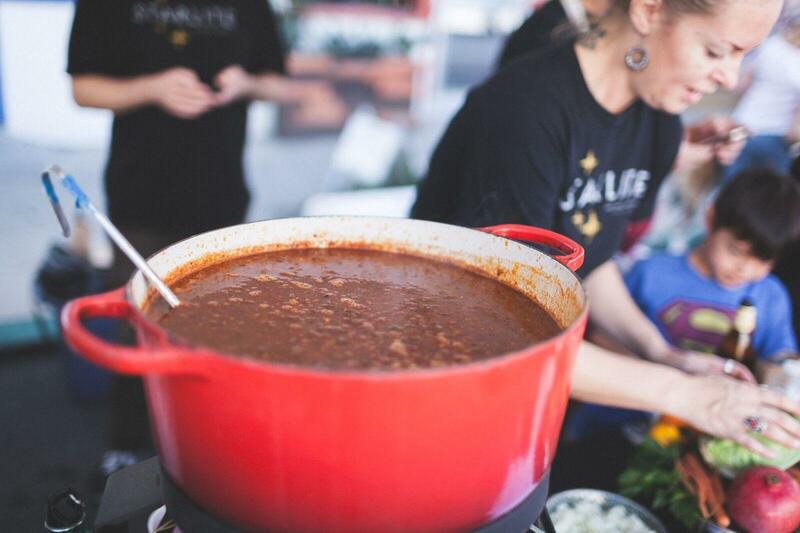 Organizers expect up to 20,000 people will turn out for the seventh annual chili fest from 11 a.m.–5 p.m. on Sunday, Dec. 4, at the intersection of 32nd and Thorn streets. 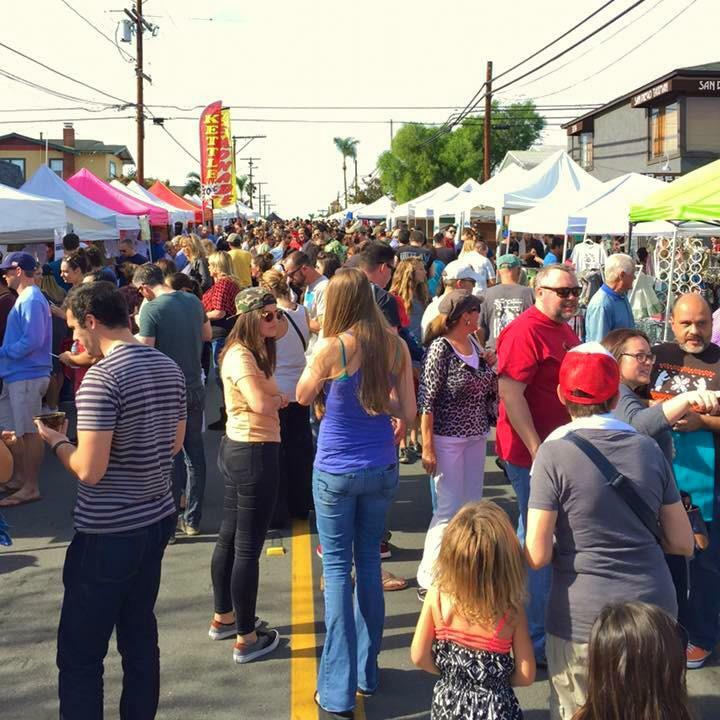 Seven years ago, the chili fest started off as a simple little fundraiser by parents and neighborhood volunteers to bolster the arts, music and Spanish programs at McKinley Elementary School, located at 3045 Felton St. in the Altadena neighborhood south of Redwood Street. The school serves students who live in South Park and North Park, hence the festival’s “SoNo” nickname. 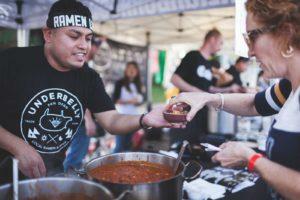 “It’s a fun event in a very popular neighborhood, and it’s centered around craft beer and food — you can’t go wrong with that in San Diego,” said Jean Rivaldi, who has co-chaired the chili fest for the past two years and has done public relations and marketing for the event since the second year. “It also brings in holiday shopping and it benefits our public school. It’s for the kids! 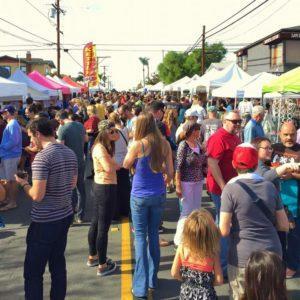 It’s gained popularity as a restaurant and craft beer industry event, where the local players in that scene gather for a friendly competition,” she said. That friendly competition keeps getting stiffer. 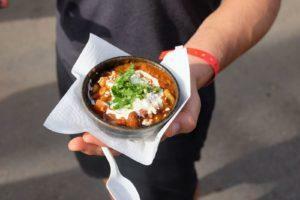 This year, 40 restaurants and bars will compete for fame and glory, offering up their most inspired and delicious chili creations. 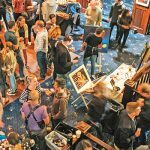 Competing this year will be Beerfish, BFD, Blind Lady Ale House, Cafe Madeleine, City Tacos, Del Sur, Dunedin NP, Encontro, Fathom Bistro, Hamilton’s, Heart and Trotter, Hopping Pig, Kensington Cafe, Kindred, Lucha Libre, Mastiff, Monkey Paw, Panchita’s Kitchen & Bakery, Panama 66, The Safehouse, Small Bar, Soda & Swine, South Park Abbey, South Park Brewing, Starlite, Station Tavern, Tiger! 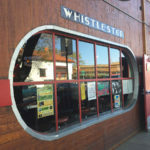 Tiger!, The Haven, Toronado, Tribute, Uptown Tavern, Underbelly, Waypoint Public, West Coast Tavern and perhaps a few latecomers. 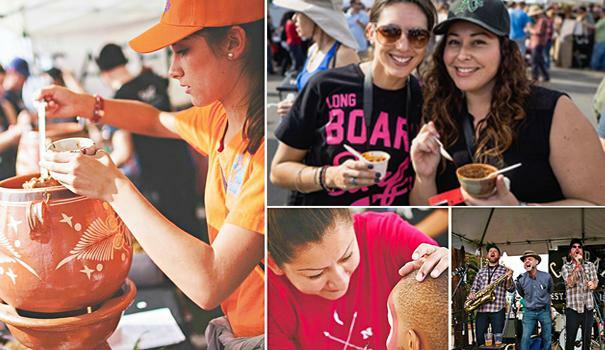 Judging the chili will be a panel of San Diego celebrities, including “Master Chef Junior” winner Nathan Odom as well as craft beer and North Park supporter Omar Passons. 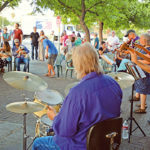 San Diego Ceramic Connection and the McKinley Elementary School Foundation are the festival presenters. Chili fans know the routine by now: Bring your own chili bowl and pay $15 for five 2-ounce tastes or buy a locally hand-crafted bowl for $20 to get the same deal. And they know to arrive early before the chili runs out, which has happened as early as 1 p.m. But why chili? Isn’t San Diego better known for fish tacos and California burritos? For chili lovers, it’s more than the ancient argument over whether beans belong in a “true” chili recipe. Best Overall — Toronado San Diego and Chef Missy Sandoval for “Totally Rad,” smoked lamb leg, tri-tip chipotle chili. Best Vegetarian — Monkey Paw Brewery and Chef Onan for vegan “Blairsteak” chili with mushrooms, peppers and Monkey Paw Corneilius Stout. Most Unique — South Park Brewing Companyand Chef Luis Aguirre for shrimp and seafood “sausage style” smoked chili topped with roasted corn bread and smoked jalapeno cream. People’s Choice (awarded by attendees) — West Coast Tavern and Chef Abe Botello for West Coast-style chili with short rib, tri-tip and white navy beans. But there’s more than just chili to enjoy. Local brewers will serve up the suds in the beer garden with some of the country’s best craft beer. Wine will also be on the menu, featuring vino from Fallbrook Winery and other local vintners. An assortment of food trucks will show up, including Devilicious, Haad Sai Thai, Two for the Road, Bulls Eye Kettle Corn and Hammonds Ice cream. Ready to shop for the holidays? Browse through handmade goods from more than 30 local vendors. Kids are invited to have fun with bounce houses, carnival games, face-painting, hairdos, ping pong, an obstacle course and more. Listen to live music on two stages sponsored by Bar Pink and The Casbah. Bands will include The Creepy Creeps, The Bedbreakers, The Nards, Ypsitucky, Le Chateau, Bit Maps, and Levi Dean and the Americans. The chili fest is all for a good cause. “The amount of money we’ve raised over the years has continued to grow. 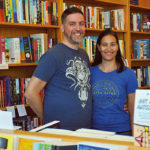 Last year we raised $63,000,” Rivaldi said. 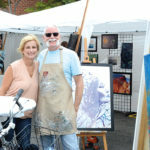 “All the money goes to the McKinley School Foundation and is primarily used to support the schools International Baccalaureate education – providing programs like Spanish and the arts that are required for an IB school to provide, but are not funded by the district,” she added. McKinley principal Deb Ganderton couldn’t be happier to be involved in this fundraiser. 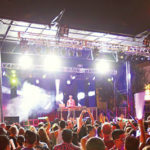 For a complete list of restaurants, judges, bands, vendors, food trucks, sponsors and event information, visit sonofestchilicookoff.com. If you post photos on social media, use the hash tag of #chilismackdown.